It's that time of year again, Christmas card time! You guys, it's my most favorite holiday tradition. Which part you ask? All of it. I love coming up with head to toe outfits for my family (usually on little to no notice) and for whatever reason, it always turns out just right. 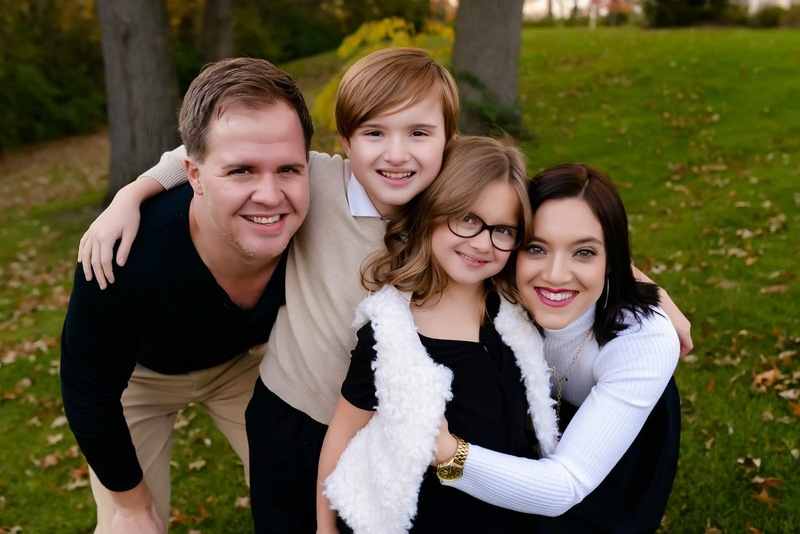 Yes, even the years where the kids were crying in the photos, it was perfect to me. I love selecting the Christmas card that makes me smile the most. The one that stands out and you just can't wait to add your photos and order it. I love sending my cards out to friends and family...some of whom I haven't seen in years. I hope they smile and think of us fondly when it arrives. And I really love each day in December when I walk back from the mailbox and smile as another family's Christmas card came. In my home, we display all cards that are sent to us, around the large mirror in our entryway. They become part of our holiday decor and it makes me so happy to see how everyone is and how every one's families are growing. It's just my favorite! 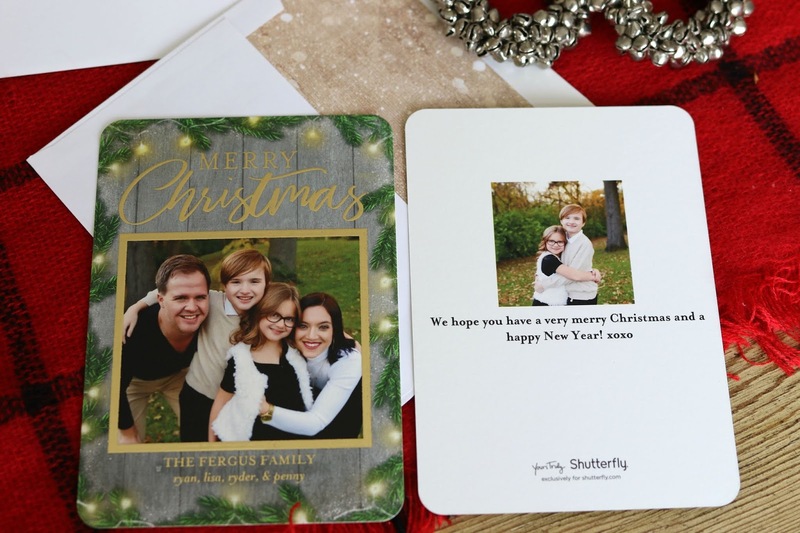 This year, I've teamed up with Shutterfly to show you their amazing card selection, as well as show off my 2018 Christmas card. Here are some of my favorite card styles that I saw while I was shopping for mine. I loved the idea of using just one photo this year, but I also love cards I have had made in the past with multiple photos. 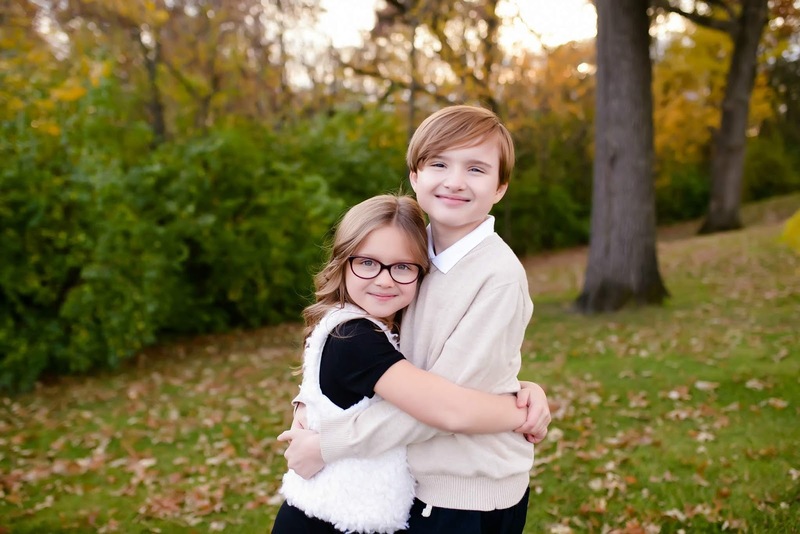 Shutterfly makes it super easy to choose you card. Simply use the filter tabs on the left side to choose your card style, photo number, card size, and more! Click on what you know, and go from there. I was able to narrow my search down this way and I loved the options I was given. I mean...do you see the barn door style? Swoon! It definitely came down to that one and the one I went with this year. When I finally narrowed it down and I chose which card I wanted, I still have a few more choices to make. I went with the round edges on the card-stock, gold foil on the card, I added a matching insert for inside the envelope, and also a mock tag and return address on the actual envelope. With each decision I made, the card became more and more beautiful and more perfect for what I was looking for this year. 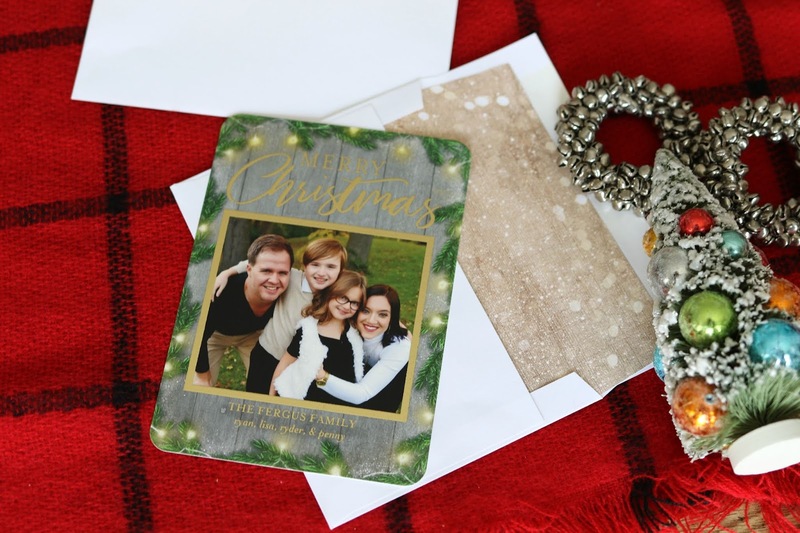 I loved how easy Shutterfly made my Christmas card experience. 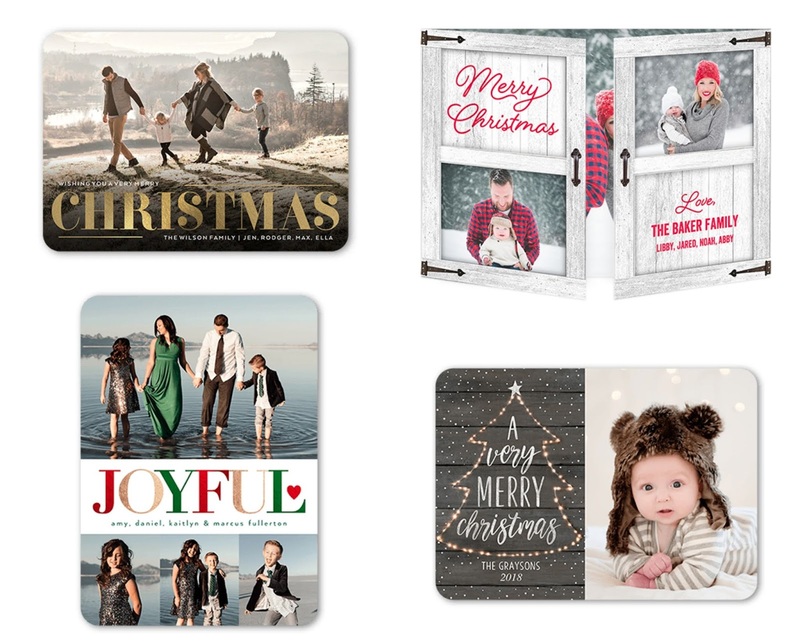 Plus, if you stop by Shutterfly today, the site has 50% off all order $49+ using code "GREATGIFTS". It's definitely the perfect time to order some cards, prints, or holiday gifts! Here is a closer look at the two photos that made the cut this year. ;) I love both so much and both will be hanging in my home soon enough. I'll be ordering my canvases on Shutterfly. I honestly do this every year as well! It's another tradition that I look forward to and with the 50% off sale, I'd be crazy not to order soon.